Based on interviews with the crew and captain of a torpedoed tanker who survived nineteen days in a lifeboat in heavy seas and scorching tropical sunthis information is incredibly useful even today. 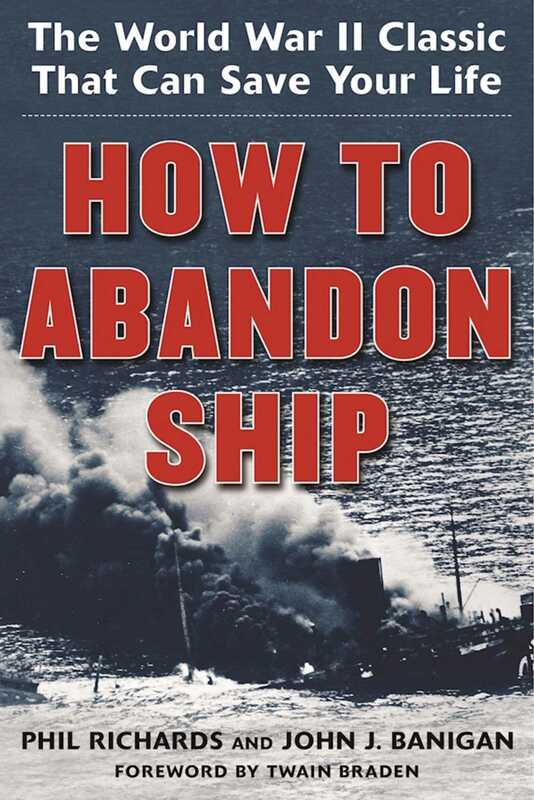 How to Abandon Ship was written during World War II to save the lives of seamen by instilling a commonsense, organized, no-panic clarity to getting off torpedoed ships safely and, perhaps more importantly, surviving later. It is a gem that can once again be used to save lives. Former schooner captain and author Twain Braden updates this solid and useful advice with a foreword addressing today’s technology. Braden used How to Abandon Ship to teach crewmembers fifty years after it was written while sailing the rugged and dangerous Maine coast. In addition to books on popular team sports, we also publish books for a wide variety of athletes, including books on running, cycling, horseback riding, swimming, tennis, martial arts, golf, camping, hiking, aviation, boating, and so much more. While not every title we publish becomes a New York Times bestseller or a national bestseller, we are committed to publishing books on subjects that are sometimes overlooked by other publishers and to authors whose work might not otherwise find a home.